At the end of the summer I headed up to the Lake District for a few days of hiking and scrambling with a good mate. Fortunately for me, he had been up a few weeks earlier with his partner and could recommend a great little campsite. As such, we booked ourselves into Kestrel Lodge campsite, packed our gear and took the 2 hour drive north from North Wales. 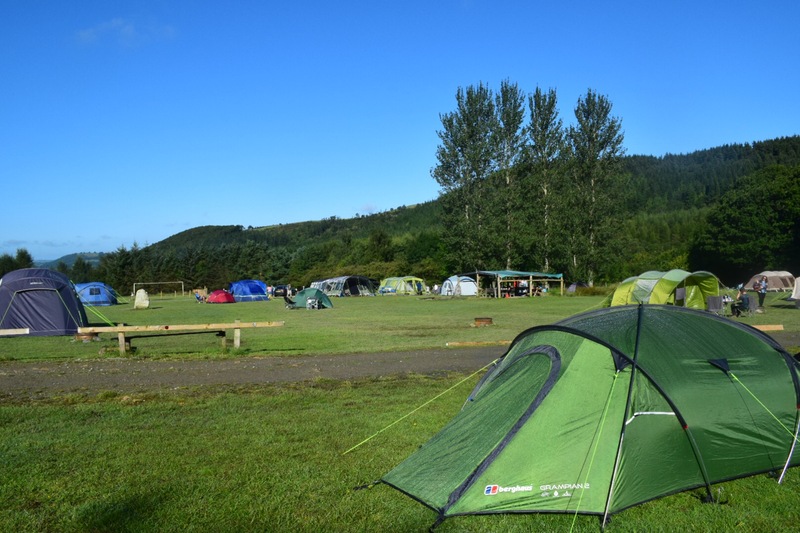 Kestrel Lodge campsite is a small, family-friendly campsite located near Bassenthwaite in the northern Lake District. 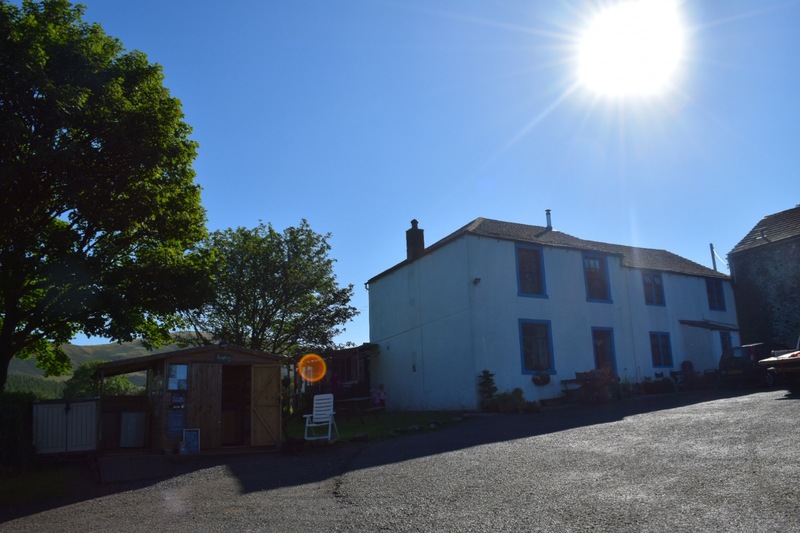 A former Outward Bound centre, it is now a family home and campsite set in idyllic English countryside. 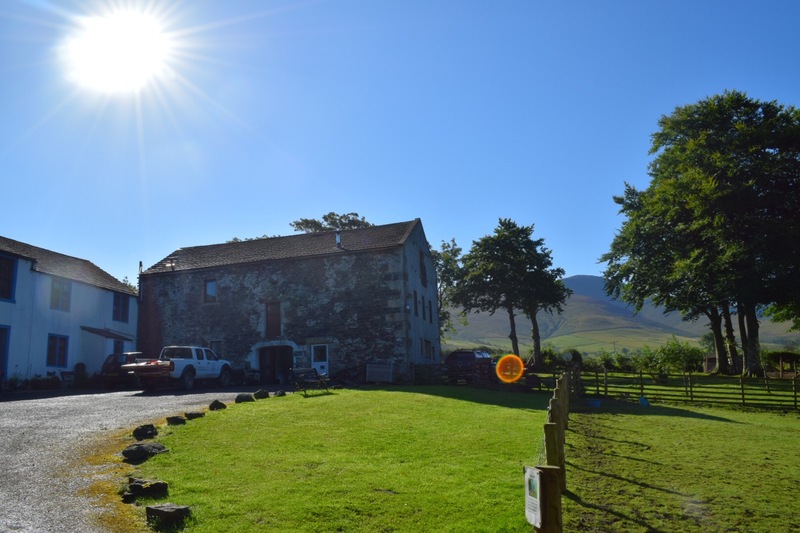 Surrounded by fells and right in the shadow of mighty Skiddaw, this is a perfect base for hikers and outdoor enthusiasts. Established with a refreshing ethos of being a genuine campsite for genuine campers, Kestrel Lodge campsite doesn’t house motorhomes or caravans. Furthermore, there are no cars next to tents to spoil the view. Being a small campsite this is pretty simple to achieve as leaving them by the main entrance gate means only a very short walk to your pitch. Still, it makes a nice difference. Consequently, Kestrel Lodge campsite naturally makes an attractive proposition for outdoor families. When we arrived the pitches were very well taken care of, if a little wet. However, this can easily be forgiven, given the amount of rain that had preceded our visit. In fact, the rain didn’t just precede our visit, it gave us a good soaking on several occasions while we were up there. 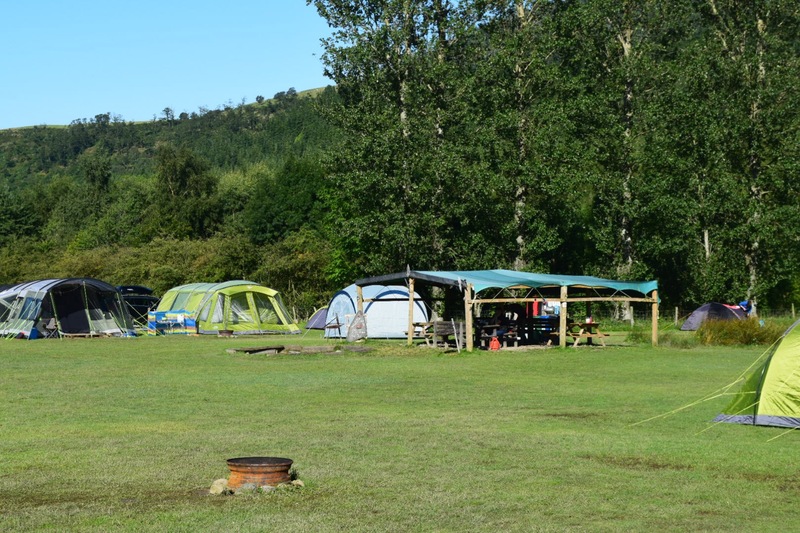 For such a small, back-to-basics site, Kestrel Lodge campsite has an impressive array of facilities. The bread and butter, of course is the toilet and shower block. Ok, they may be small, but I have honestly not seen a better campsite shower room. Stepping into the farmhouse outbuilding, you’d really struggle to imagine a more modern setup. Furthermore, despite warnings that rural water can be temperamental, I never struggled for hot water. Oh, and unlike some campsites, there is no extra charge here for the showers. There was definitely something rather nice about not having to root around for 20p pieces every evening! Outside of the shower room is located the washing up area. This is under cover and has enough sinks for the capacity of the campsite. 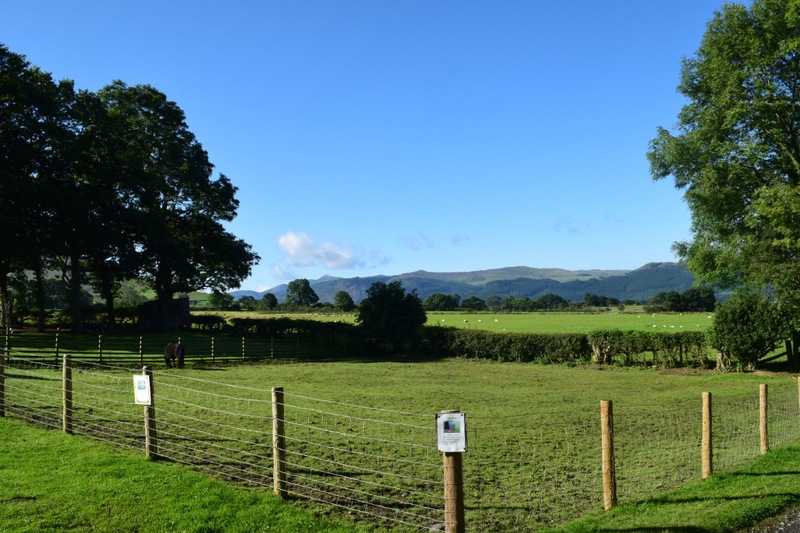 Given its position in the Lake District, Kestrel Lodge campsite also handily has a washing mashing and spray station for muddy boots and clothes. Consequently, you won’t have to worry about storing dirty gear or boots in a bag or your car. There is a small onsite shop to top up your basic supplies. Selling everything from firewood to basic food and drink options, it’s a handy thing to have given the isolated location of the site. It’s also a nice opportunity to chat to the super-friendly owners too. If you’re new to the area speaking to the owners is a must. Being outdoor enthusiast themselves, they can ably discuss and advise hiking routes and paddling spots and the like. Everything, up to now has been wholly positive. Now, however, we get to the bits that I REALLY like about Kestrel Lodge campsite. The first of these is the covered communal area with picnic benches in the middle of the field. Ok, for some (myself included a lot of the time), the thought of cosying up next to strangers in a common communal area is a bit of a stretch. I’m a small friendship group kind of guy. However, one of the beautiful things about being outdoors is the ability to chat about your adventures with others. Moreover, given that this is a campsite for tents, it provides an invaluable place to cook and eat in wet weather. I simply loved that Kestrel Lodge campsite had this in place. What’s more, when the sun goes down there is a communal fire pit. As such, you can gather round to share stories and adventures. Cosy or what! Talking of fire pits, it seems that today many campsites have dispensed with them. 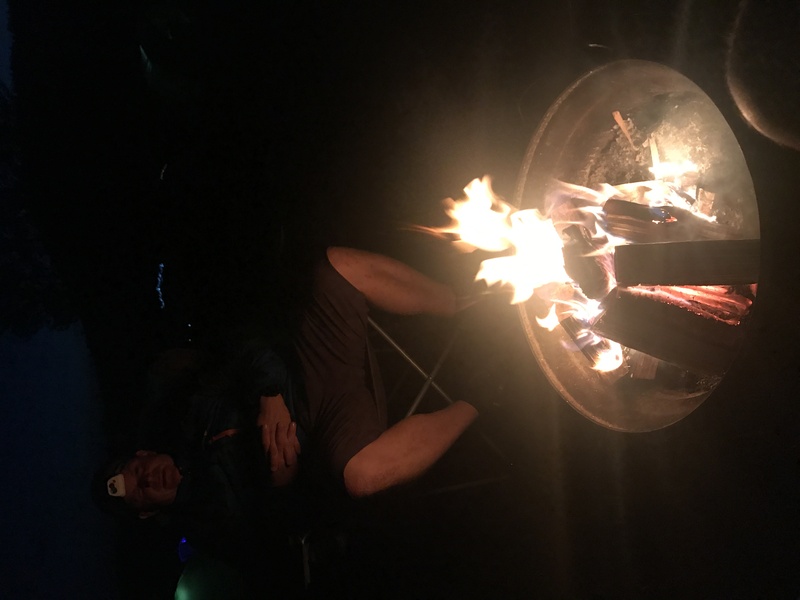 Fearing for their grass, surroundings, and the Health and Safety police, fewer and fewer campsites now offer this most memorable of basic amenities. So, in addition to the communal pit, pitches have their own. Sunk into the ground using old vehicle wheels, these are a very welcome addition. We enjoyed many a post-hike beer around ours. 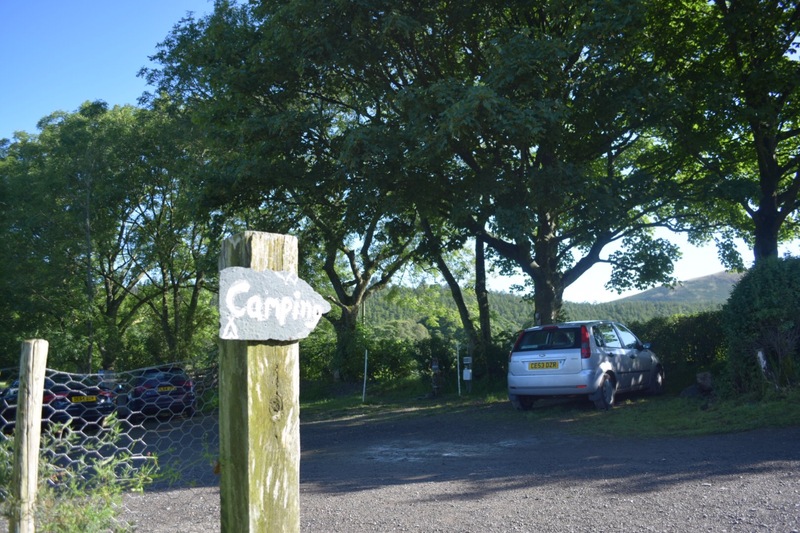 Overall, Kestrel Lodge campsite is a great little place for families and ourdoorsy folk to stay. Bassenthwaite Lake is just a hop, skip and jump away for paddlesports or even a wild swim. Plus, there’s hiking straight from the campsite up to the likes of Ullock Pike and Skiddaw. Oh, and did I mention that there’s an awesome pub that does great food within walking distance? Consequently, this really should get your consideration if you’re looking for an adventurous stay in the northern lakes.